Well This will be my projected Fury for the Master Class. 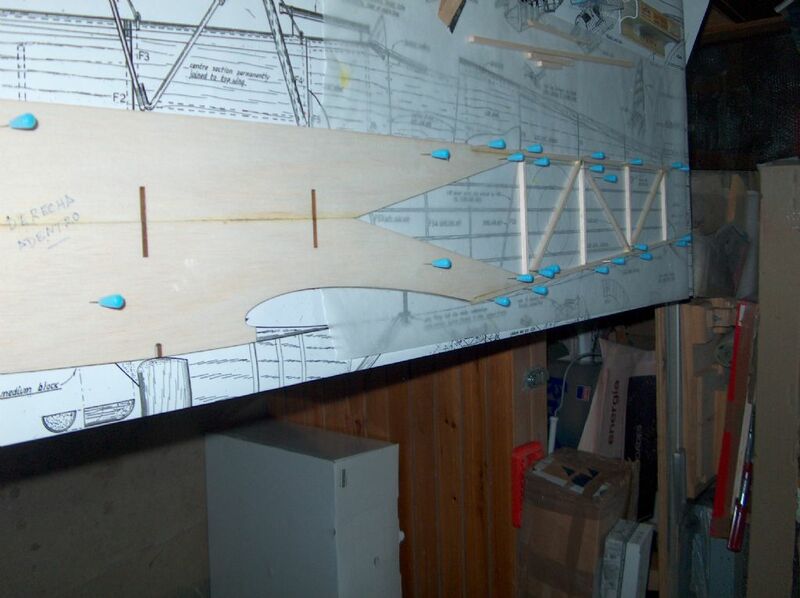 In the back ground I`m going to build a second model of the Spanish Fury. Yesterday I re-read the plans and the scale documentation I have on the subject. Noting a few subtle diferences betwen the MK I and the Spanish Fury that I have not seen ( the cowl is longer, deeper in the nose, different panel lines, exhaust position, lowres, …. 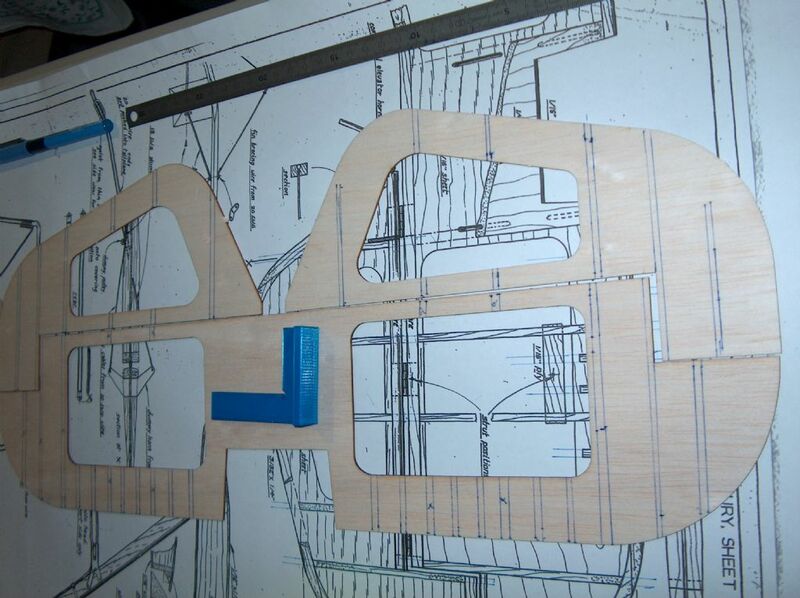 So I also begin the construction with the tail. 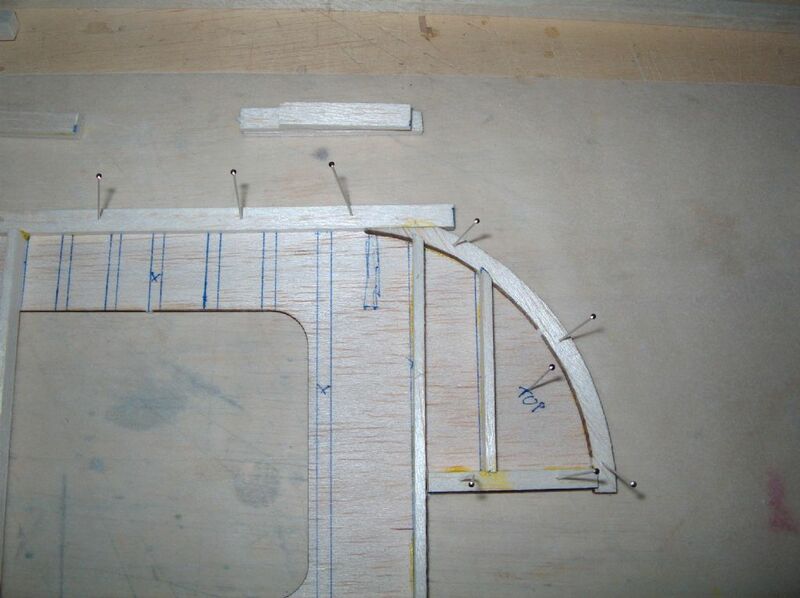 I`m using Wood glue so until tomorrow it Will stay pinned in the board. 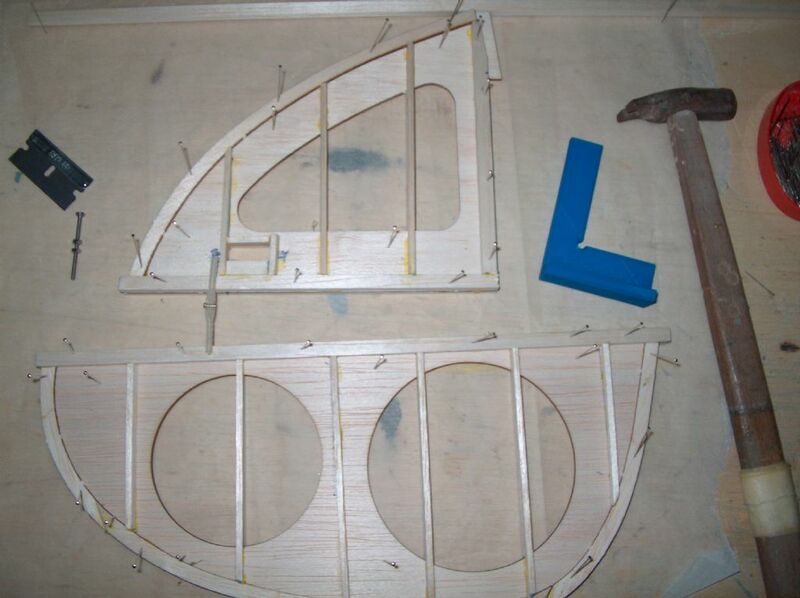 Tomorrow I`ll cut the hole for the screw, hinges, horn before gluig the ribs on the other side. It is easier to cut the cores before you add the doublers but not matter, the end result is the same. I'm still far away from starting my build thread, but I just subscribed to yours. Hi Chris. Thanks for subscribing. 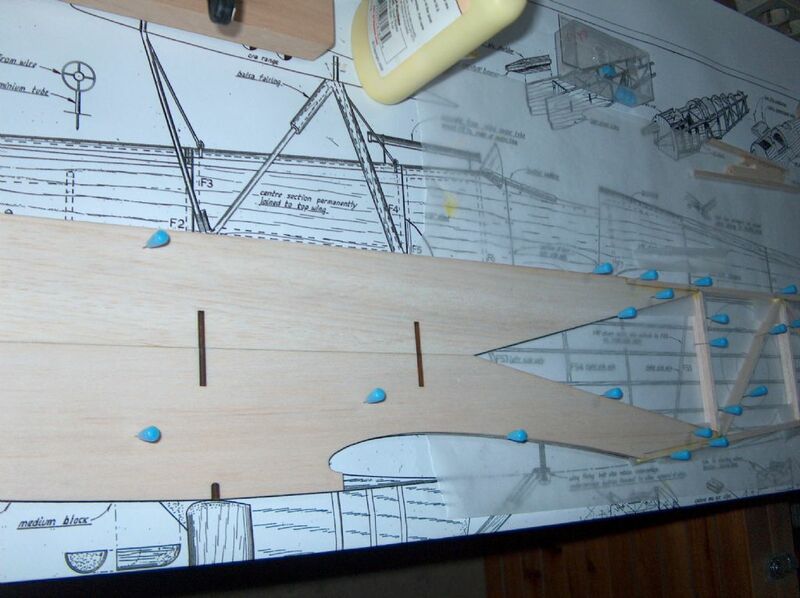 This morning I have cut the hole for the rigging wire on the fin. Marked the position of the ribs an repeated the process of gluing ribs in the other side. Drying until next day. 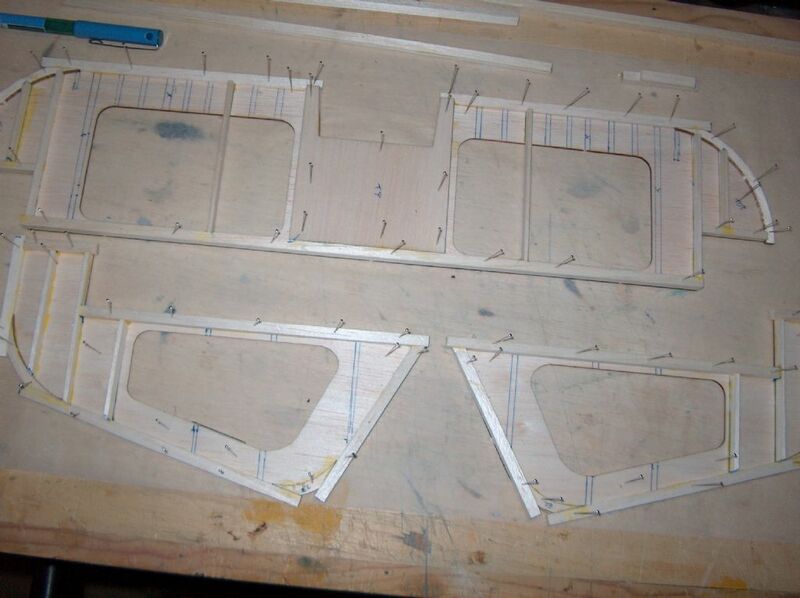 I didn`t make the cut-outs for the hinges because I have decided on using robart hinges (Not originals these are from Great Planes), whwn profiled I`ll glue the reinforcing blocks before drilling their position. Awaiting the glue to dry. Stab and elevators marked over the plan an the other side marked with setsquare (3D printed…..
Back to building after a few days of relax. 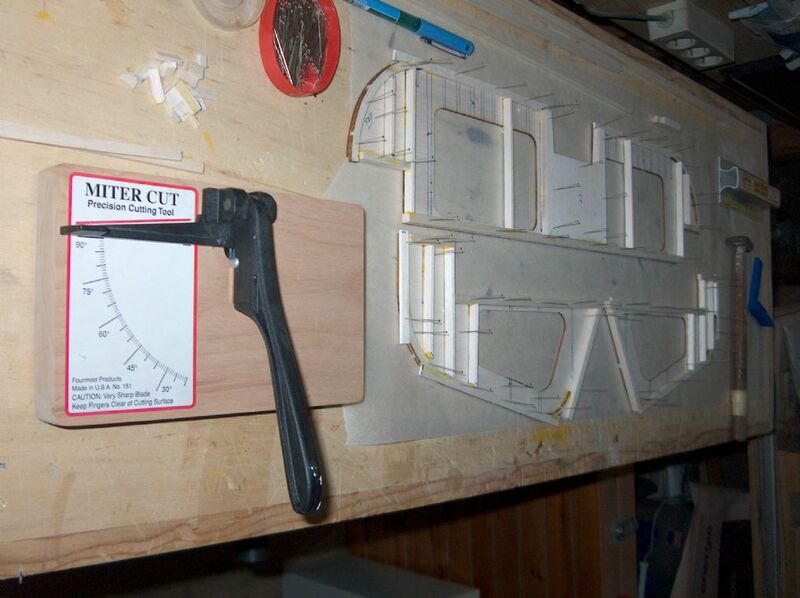 Cut the longuerons from a shest of balsa with the balsa-stripper (Great Planes ítem). 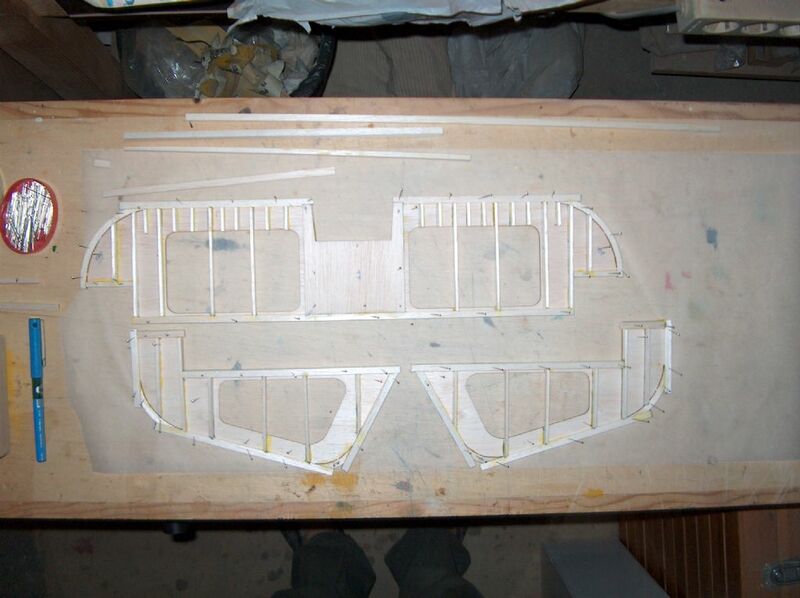 Mainly framed the leading Edge, tips and some ribs for delimiting the parts. Later added the red of the ribs. 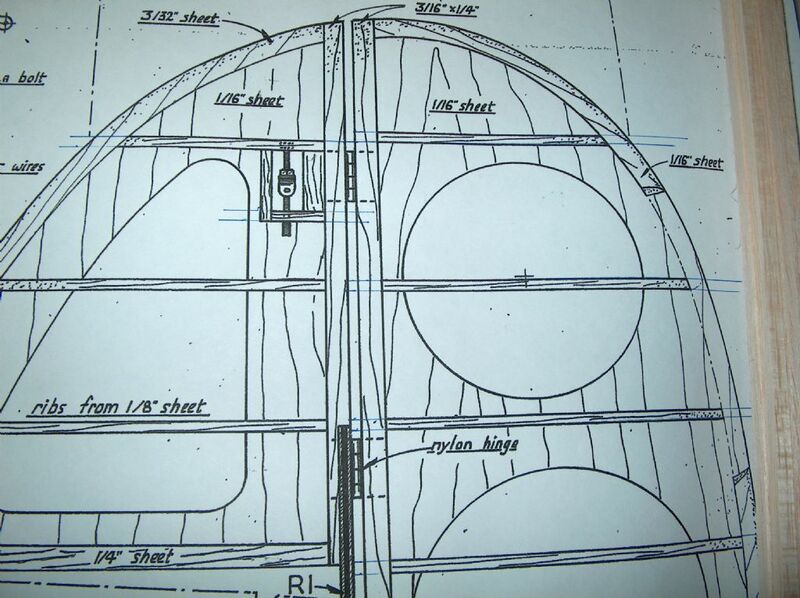 When checking the plan and the 3 views I noted that there is a missing sub-rib near the tips, so I marked the cores to remember it. Top of the stab and elevators finished. This afternoom I`ll make the other. I`m going to use pull-pull for the tail parts. As the original both elevators Will be linked with a tube (carbon in my case). Jose, correct me if I'm wrong, but the carbon tube would be very short and limited in length by the hinge positions closest to the fuselage? You are correct about the length of the tube. 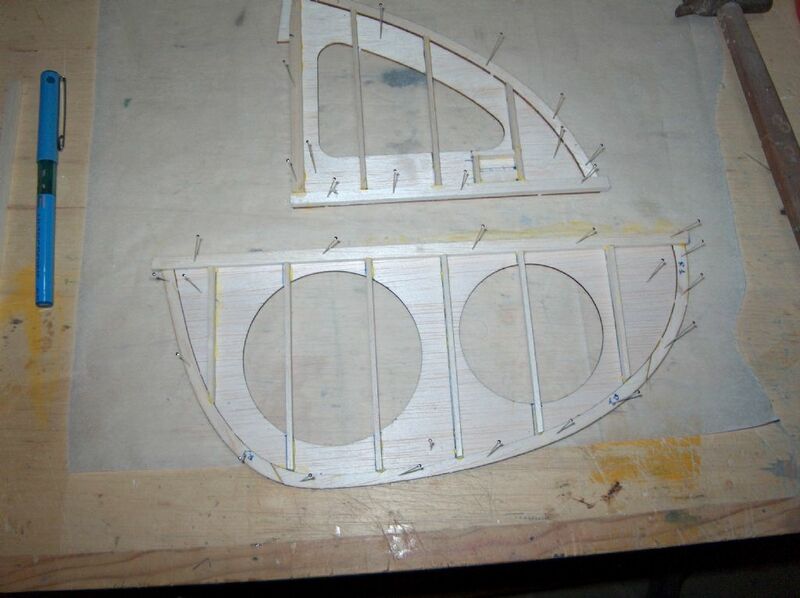 Once epoxy glued in their groove I`ll aply a fine fiberglass bandage over it and the balsa. 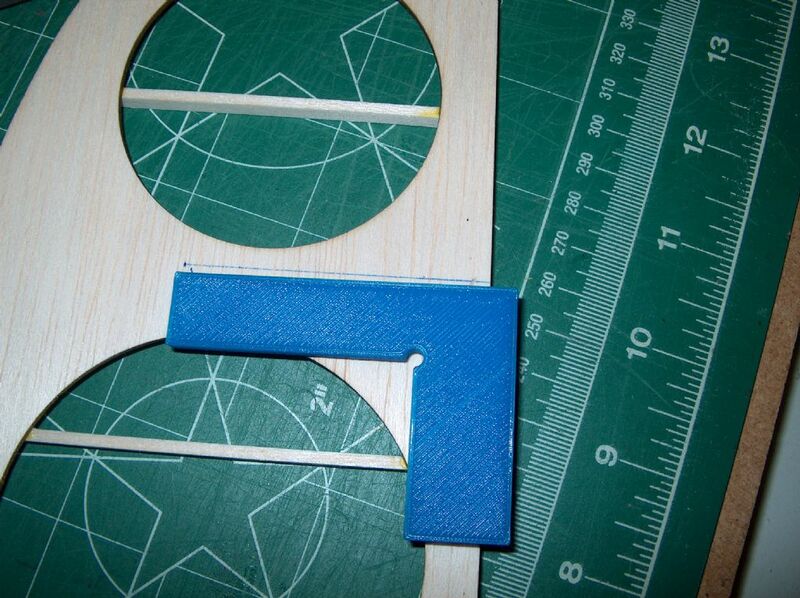 This increase the gluing force of the part. I´ve been working of the fuse the past days. Now I have both sides made: Once dry the first I leave enought pins for placing the second over it. Put some wax paper over the cross over of the sticks and fixed with pins the front part of the fuse and built the second stick part. 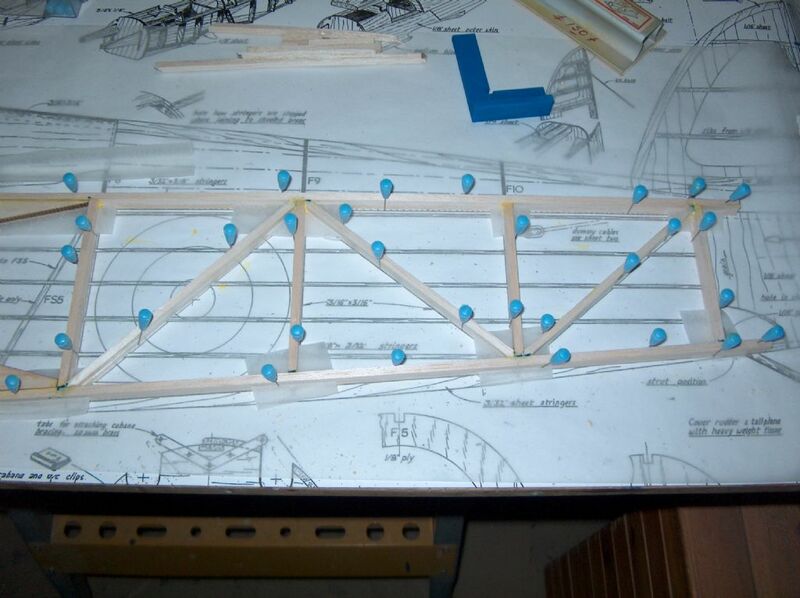 Before beginning the building I weighted the sticks of balsa, betwen 2.6 to 4.9 grams, Selected those abot 3.2 grams, (this weight is because there were a few around this weight). 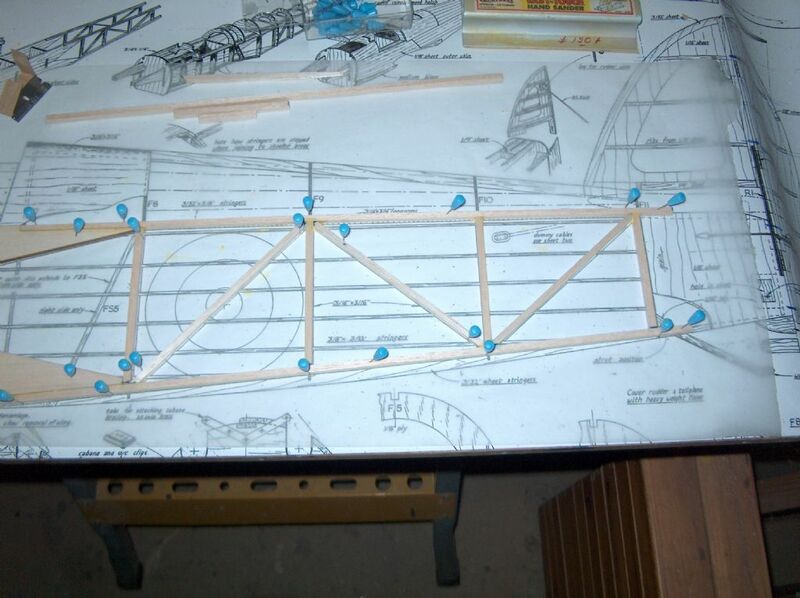 Tomorrow I´ll go to fly, so probably Little building in the class…..
Second side (Left) built over the right side. I forgot, The cross over sticks are from the sheet that is made the front part of the fuse. All Forum Topics > Hawker Fury Mk 1 - RAF's Finest Biplane! 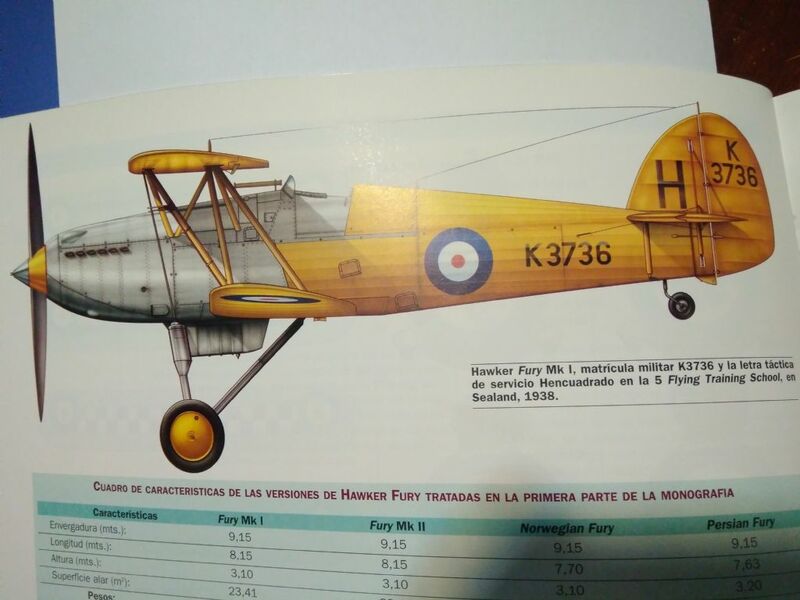 > K3736- MkI Fury-Jose L.G.